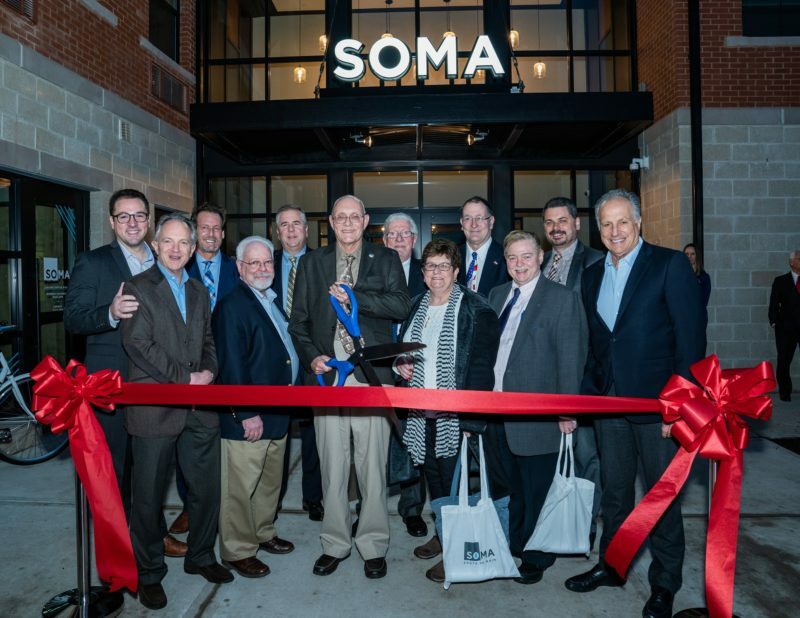 The developer joined local officials last week to mark the debut of the property known as SOMA, which sits at 110 South Bridge St. and just south of the borough’s Main Street corridor. 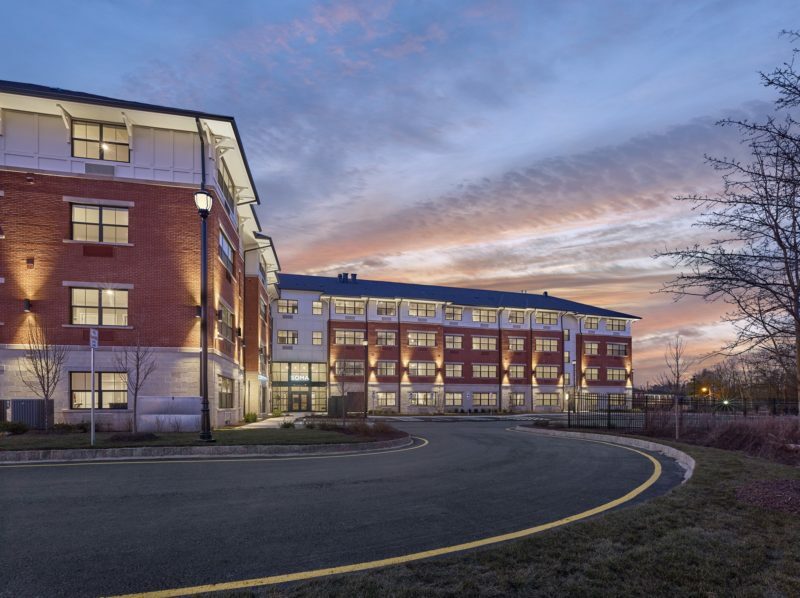 The four-story complex, which is a block from NJ Transit rail service, has leased more than 45 percent of its units since the launch of leasing in mid-January. “This project succeeds on so many levels,” Mayor Dennis Sullivan said. “It’s redevelopment, it’s transit-oriented and it will be revenue-generating. We had a great partner in Sterling Properties to transform this property into an eye-catching residential building where people can live a stone’s throw from downtown Somerville and the train station. Offering layouts ranging from studios to two-bedroom apartments, SOMA includes amenities such as a high-end fitness studio and tech lounge. Monthly rents start from $1,750, Sterling said, touting Somerville as an attractive option compared to similar transit and lifestyle hubs such as Morristown, New Brunswick and Hoboken. Comito Associates designed the project, while interior design firm Mary Cook Associates oversaw its upscale unit interiors and common space. SOMA was designed to meet gold standards on the U.S. Green Building Council’s Leadership in Energy and Environmental Design.